"April showers got you down? Escape them here!" "A peek of our home in every detail." "Try something new today! Like our pad prik pao with fried tofu." Very good food. Nice patient staff! Clean! Love the food and atmosphere. Very good value for the amount of food served. The service is usually prompt and friendly. Thai food and the scene at this spot is great. I love visiting here. The service here is great. Prices are reasonable. Yes, I'd like to receive news from Noot's Thai Kitchen. 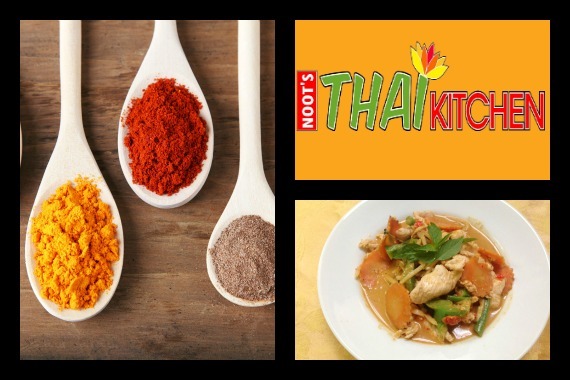 Sign up for the Noot's Thai Kitchen Newsletter!